Working on a project in which a container is being standardized for all Translift side-lifters. 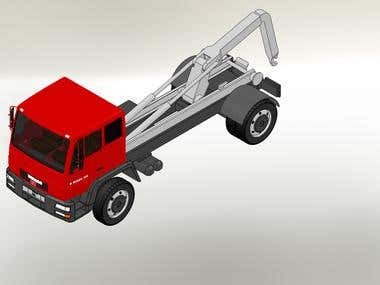 The work includes different design modifications in container chassis, side walls, rear hatch and screw compactor for waste as well hydraulic pipe and hose modeling. Also drawing generation according to ISO standards comes under the scope of this project.